Hey Buddy!, I found this information for you: "New Report from BCG and the WBCSD Details Business Benefits and Best Practices from Circular Economy Leaders". 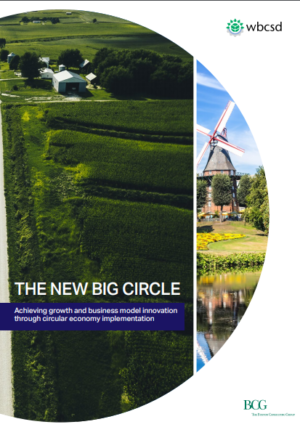 Here is the website link: https://www.duurzaam-ondernemen.nl/new-report-from-the-boston-consulting-group-and-the-world-business-council-for-sustainable-development-details-business-benefits-and-best-practices-from-circular-economy-leaders/. Thank you.